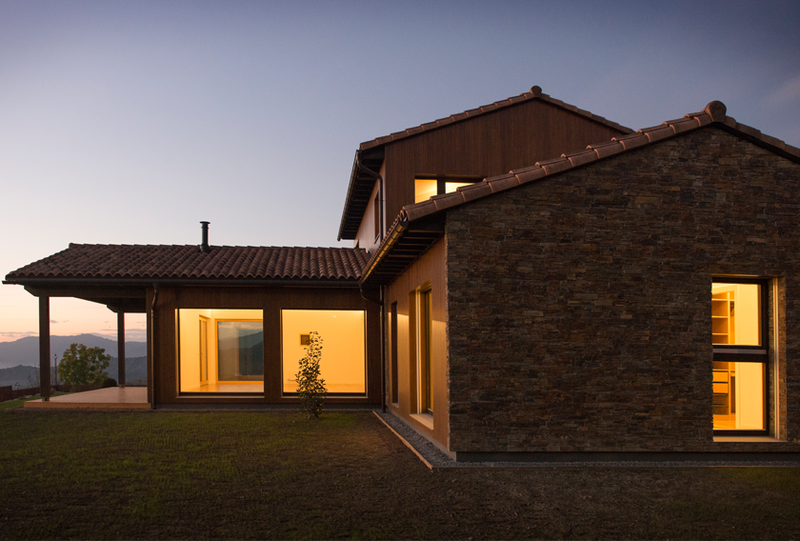 STONEPANEL™ clads the fifth house certified Passivhaus in Catalonia. Designed by the architect Guillermo Allegrini, the house called La Estrella dels Vents (The Star of the Winds), located in the rural area of ​​Cantonigròs (Barcelona), meets the clear objectives of “energy excellence, environmental quality and respectful environmental awareness”. The architect used only natural materials such as stone, wood, earth and straw to build a house with a high energy efficiency. One of the most important premises of the house owners were the use of natural products to build the structure. They wanted to respect the natural environment of the pre-Pyrenees where they live. They also wanted to use only the most basic materials of nature: stone, wood, earth and straw. For these reasons, the architect Guillermo Allegrini decided that the Passivhaus standard were the most appropriate for this sustainable project. The main aims of this project were a very compact structure in order to achieve the Passivhaus specific heating demands; a good orientation of the windows to benefit from useful solar gains; an external insulation of the walls used to reduce thermal bridging and an excellent level of airtightness. All the materials used have been chosen according to the highest level of energy efficiency. 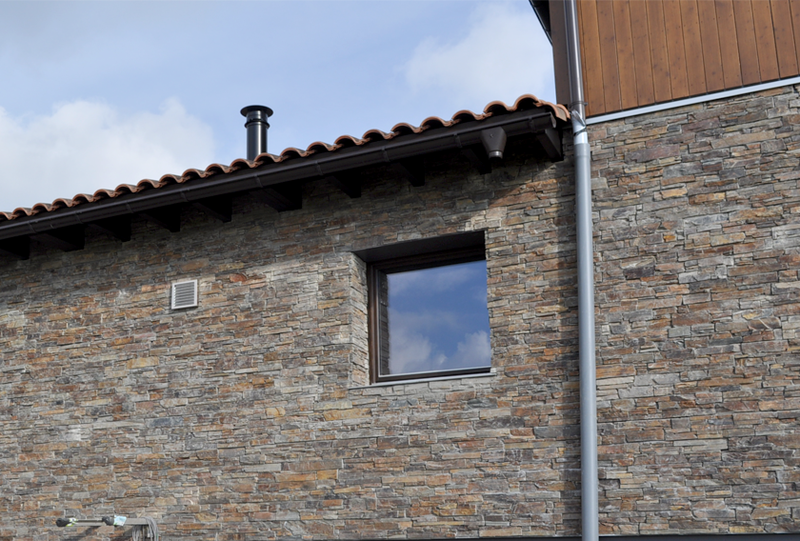 The architect has chosen STONEPANEL™ for cladding the ventilated facade of the house. As a result, the building envelope is never in contact with the rain or the sun radiation. This fact allows a more isolated house from weather changes. 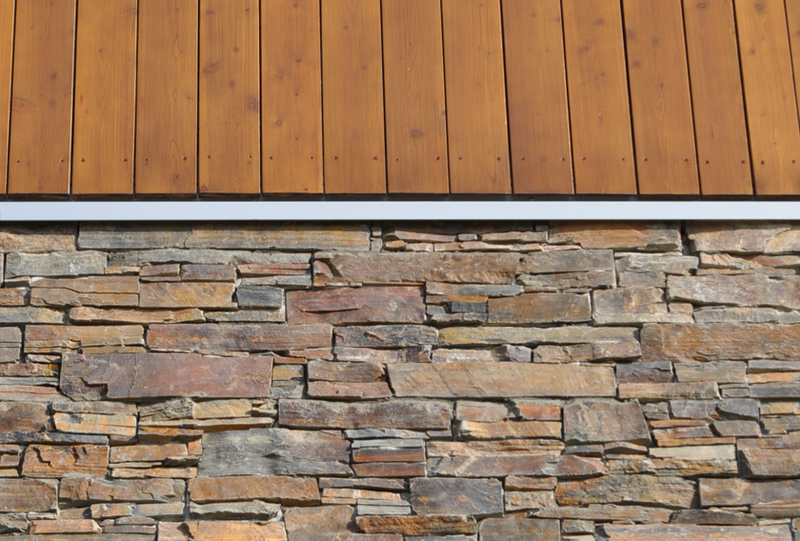 The natural stone panels used for the exterior wall cladding of this Passivhaus project were STONEPANEL™ MULTICOLOR. 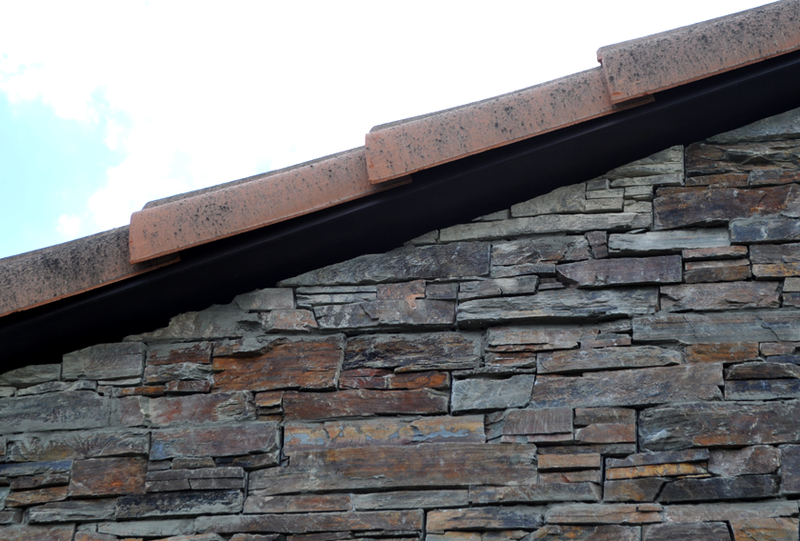 The panels are composed by brown reddish slate combined with darker and lighter tones. 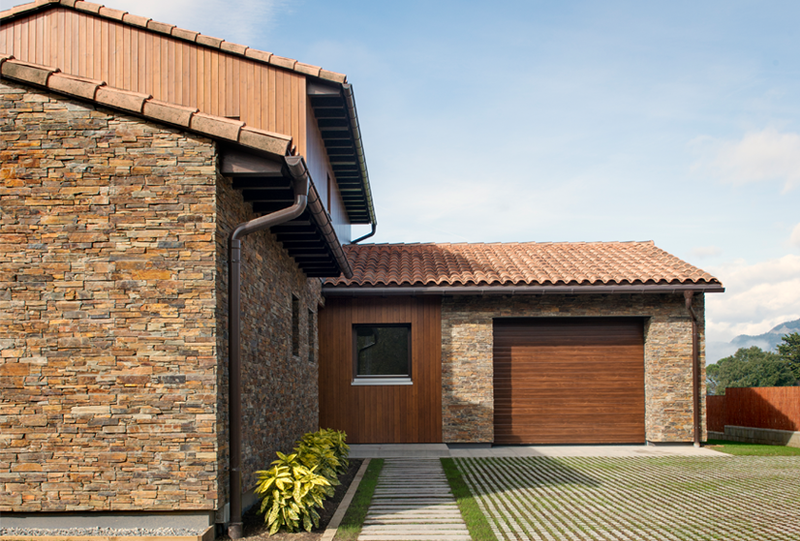 Our product, the only natural stone panel certified and guaranteed for outdoor use, creates an original combination for this contemporary home. Their incorporated mechanical anchor enables the installation of our panels on surfaces higher than two meters. This innovative system, created and patented by CUPA GROUP, has a simple and quick installation: 10 times faster than traditional masonry. Passivhaus or Passive House is a building standard that promotes the construction of a house with an excellent energy performance. This type of houses minimises the heating demands of the building. In a Passivhaus, thermal comfort is achieved to the greatest practical extent through the use of passive measures which can be applied not only to the residential sector but also to commercial, industrial and public buildings. Check all the information about the project on the architect’s Facebook page. Find more information about STONEPANEL™. Images courtesy of Guillermo Allegrini.